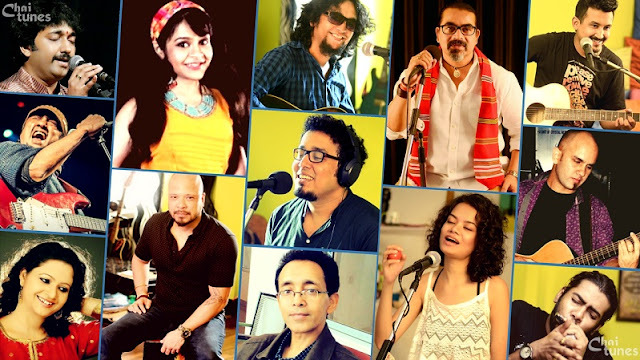 Singing sensation Joi Baruah may be a new name in Assam, but he certainly has been a sought after vocal talent in the world of ad jingles and has worked with some of the most renowned music directors of Bollywood. Parmita Borah finds out about his debut Assamese album ‘Looking out of the Window’, his inspirations, and his journey as a musician. Parmita Borah: Welcome to EF News International. PB: Let me start with your debut album, “Looking out of the Window”. Weren’t you nervous about introducing Rock Music to Assamese lyrics? JB: No. I was not nervous at all about introducing rock to Assamese music. JB: Yeah, Assam as a place, and the North East as a whole is a curios mix of folk and rock, for many different reasons. So I knew this would go in very smooth. PB: What inspired your debut album? JB: There were a couple of experiences in the sense, I was wanting to do original music for a long time. I was making tunes, and I was making melodies in Mumbai, then the day came when we were clear on my language. It was my own language and we decided that you best express your stories in your own language. That was kind of a turning point in this album when we decided to do this in Assamese. At the same time I was coming out of a huge personal loss, I lost my brother in law, who had been kind of a mentor and a guru for me. Bothe these reasons, together combined, kind of went into the making of the music and making the album. PB: The song tejimola has a great piano solo. Do you want to tell us something about it? JB: On piano we had a friend of ours, Litton, who is featured on this song. He’s a part of a band and a very good Assamese musician and a very good pianist. So, we kept him in mind while doing the song and it was handed over to him, he kind of composed a rough scratch around some sketchy vocals that I had sent. Keeping in mind the mood and the melody, he came around a nice, very effective solo that it was. It’s not that we wanted to create a great piece of music, it’s just came in very naturally with the sequence of things that he was working. And I guess, that’s the reason it stands out because he wasn’t trying too hard-he just understood the song and he tried to do justice to the lyrics and the story behind the song, and that manifested in the solo turning out really nice. PB: Who wrote the music and who wrote the lyrics for the album? JB: In terms of music, I composed the songs for the album. I arranged the music and later sat down for additional arrangement. 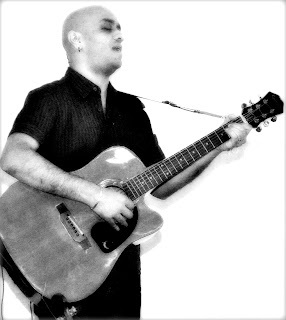 The overall programming has been done by Pawan Rasaily, my friend on guitars. So I’ve been responsible for the musical content that’s the melody and the arrangement. I wrote some of the scratch lyrics myself, but then I sat down with my friend Ibson Lal Baruah, who is very well versed in the Assamese language. I expressed my scratch lyrics and my plans to him and he took the whole thing much forward than I had intended. But songs like Tejimola and Tumi were written entirely by him. PB: Joi, you have had a long stint with ad jingles. How long ago was that? JB: (laughs) I still work on ad jingles by the way. JB: Yeah, as and when it’s interesting I’ll do. I started working in jingles way back in 2003 when I had landed in Mumbai. That happened suddenly, I was working on a film called Khakee with music by Ram Sampath (Ram Sampath is one of India’s best know ad guys). He heard my voice on the soundtrack of the film and immediately called me for a jingle that he was doing for Sunfeast cookies. I kind of hit it off well with him and that in turn led into me being tried out by other music directors. That has resulted in a lot of jingle work coming in my way and that’s where I learnt a lot of the music that I do. PB: What about your work in Assam? JB: My work in Assam has begun with my album. I’ve never worked in Assam before, in any capacity. My professional life began in Mumbai. So the album, in ways, has endeared itself to the Assamese people and the land. Post the launch of the album, there is this one song that I sang for a mobile theatre, called Kihidki. I’ve sung the title track for them and done an acoustic version as well. So apart from my album there is this song that I’ve been involved greatly in Assam so far. I just planning a few things here and there, let’s see how it goes. 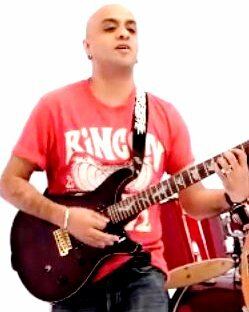 PB: So for an Assamese singer, your journey has been the other way round. People start from Assam, go to jingles and Bollywood. For you it has been the reverse direction. Why is that so? JB: Life takes you around the way it wants to take you around. Things happen. I think the most practical reason being I went looking for work in Mumbai, I never looked for work in Assam. I was a student there and I was part of a band and we played in various college festivals. I looked for a career in music in Mumbai. That being the practical reason I got work in Mumbai. I’ve lived for the past few years in Mumbai and then I decided to do something in my own language, and that has taken me back home. PB: Joi, what has influenced you as a musician? JB: My Dad gave me a violin when I was very young. I didn’t know that I would love music, but I got a violin when I was very young and that kind of triggered something, an understanding of the instrument, of the way it could mend itself to various moods. That’s number one. My principal in school was also a very strong influence on me. She encouraged me. Those were two inspiring instances, besides, people, who would kind of give me a reason of why to sing. Secondly, I used to listen to a lot of music, when I was growing up, in the radio and some records that my dad had. I realized early on that I have a deep passion for music and I didn’t know what to do with it because I was primarily drawn to the western music scenario, mostly rock and stuff like that. So I didn’t know if I could make an effective career in India, but yes, it was the only passion that I had and the only thing that I could be really good at, I think. PB: So I am going to ask you a couple of quick questions and you have to answer me in one or two words. PB: Who is your favourite vocalist? JB: It would be Sting. PB: Who’s your favourite band? JB: Sting, Maiden and Beatles. PB: What kind of music do you hate? JB: I hate very sugary Pop. PB: Pick one- jingles or movies? PB: Playback or live performance? PB: Thank you very much for joining us. PB: And we look forward to seeing you perform live, as well as more albums on their way. JB: Thank you so much Parmita.